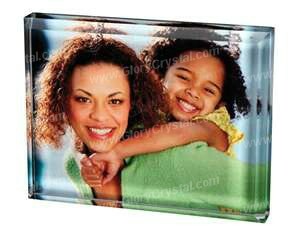 Color printed crystal paperweight, photo imprinted crystal paperweight, custom image can be printed on the paperweight. "I just received my order of 500 paperweights and I can not thank you enough. They are absolutely beautiful. Your site is now bookmarked and you will be my number one choice for crystal gifts from now on. I am so glad that I found your site." - Jon F.